At Schaefer Training Academy we firmly believe in your right to own and bear arms, and we take a great deal of satisfaction in doing our part to help you enjoy this privilege safely and effectively. Our variety of courses can help you develop your firearm skills and become a confident shooter for defensive and sporting purposes. I strongly believe our courses are among the highest in quality offered anywhere, and that's because we are focused on teaching proven curriculum and concepts that the average citizen is most likely to face in their daily activities. We are professional instructors and are well-versed in instructional techniques that will help you learn regardless of your current level of comfort around firearms. Our courses are suited to shooters of all abilities to develop and sharpen their shot to make sure the training they fall back on will get them home at the end of the day. We invite you to participate in our courses that are held at our facilities that are located on our ranch where we raise grass feed beef! We are dedicated to professional training, knowledge and insight at Schaefer Training Academy! Take one of our courses and walk away confident in your newfound professional skill and level of proficiency. 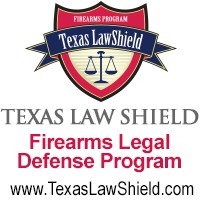 CHL/License to Carry (LTC) certificaitons are held the first Saturday of each month and cost $120, which includes both lunch and range fees! Click here to see the schedule. Basic level courses are now available! These classes are used to teach the use of handguns, rifles and shotguns to those new to firearms or who may need a refresher. Basic level courses are three and a half hours long and held on the third Saturday of each month. Basic courses cost $100. Click here for more information on our basic courses  we even furnish the guns. There is a lot of bad information out there, some even coming from law enforcement and the media about certain topics. Here is an example, the SERPA holster is purported to be safe. However, it is not! There have been multiple incidents in which persons have discharged the firearm unintentionally while using this holster. Watch in slow motion what happens with this shooter's trigger finger when it clears the holster. Fortunately, the gun didn't discharge but his trigger finger clearly was in a position to fire the gun with a little more pressure, say when adrenalin comes into play. Somewhat ironically, the full video is from a TV show where they are praising the holster. With all this in mind, we do not allow the use of SERPA holsters on the range.